Short Description: Teaches the basic knowledge, skills, and attitude necessary for safely and efficiently using a handgun in International Defensive Pistol Association (IDPA) competition. Although the course is oriented toward IDPA matches, most of the skills and safety practices covered will apply equally well to United States Practical Shooting Association (USPSA) or multi-gun competitions. 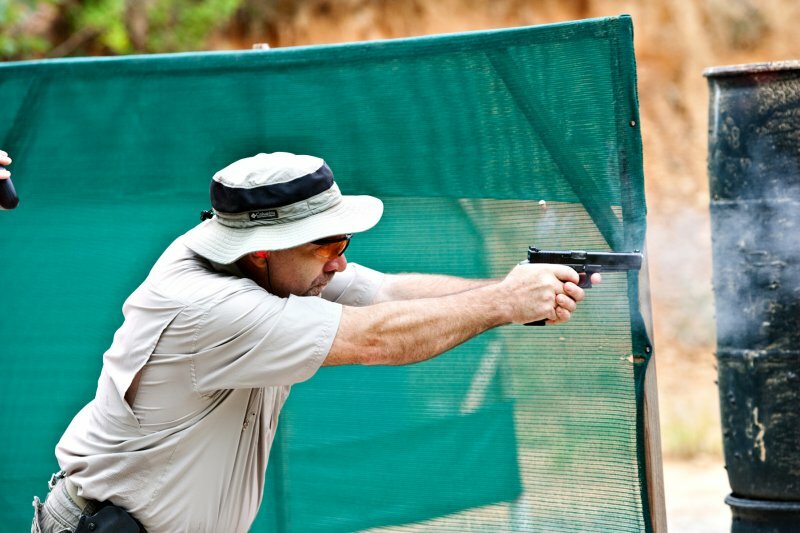 Intended Audience: The primary audience for the course are those individuals who have never participated in an IDPA match and would like a low-stress introduction to the sport. We also welcome those who are curious about action pistol shooting and want to find out more about it. Finally, we welcome those shooters who have participated in matches but would like to practice and develop their IDPA skills and pick up tips to improve their performance. Detailed Description: This is a 6- to 7-hour course consisting of classroom instruction followed by intense training/practice on the range. Emphasis will be on teaching shooters who are new to action pistol sports to navigate a course of fire safely and efficiently. Students will learn the terminology and range commands used in the sport of IDPA. The following skills/techniques will be taught and then practiced under the supervision of experienced and certified IDPA Safety Officers: basic safety procedures; gun management from the vehicle to the range; loading and unloading the gun; drawing from a holster and acquiring a target; proper clearing of the gun at the end of a course of fire; holstering the gun; target transitions; engaging targets in tactical priority and tactical sequence; slide-lock reloads; tactical reloads with retention; shooting on the move (forward, backward, laterally); shooting strong hand, weak hand, and freestyle; proper use of cover; muzzle control while competing; and scoring of targets. Equipment Needed: Students will need a properly functioning, safe handgun, caliber 9mm or larger, with at least three magazines; a strong-side belt holster that covers the trigger guard; a belt carrier for at least one magazine; and 150 rounds of ammunition. If a student doesn't have this equipment, arrangements can be made to have loaner equipment available.